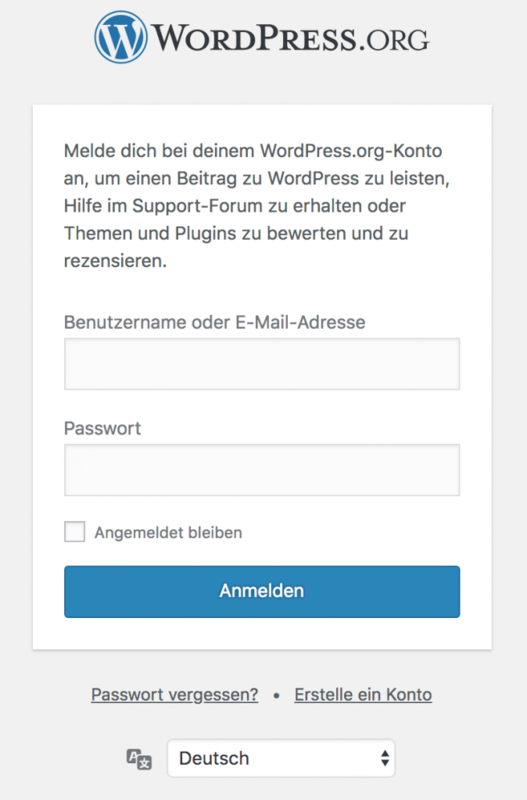 If you recently visited https://login.wordpress.org you may have already noticed it. The login and the registration form are now translatable and depending on your browser settings it should automatically use the correct language for you. Additionally, if a new user wants to register for your local support forums we ensure that it’s displayed in the same language as the support forum itself. There’s also a little language switcher in case you want to switch the language. 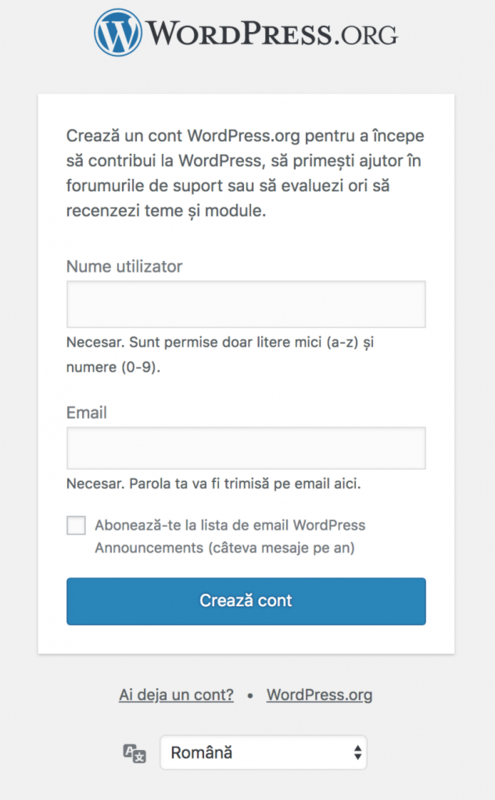 You’ll find the related strings in the wordpress.org project at https://translate.wordpress.org/projects/meta/wordpress-org. Meta ticket: #1673-meta, thanks to @dd32 and @obenland. Whenever someone is added as a General Translation Editor or Project Translation Editor they now get a notification via email to let them know that they have been added as a translation editor. The email includes a list of the projects (name + link) and some other links to help them getting started. Beside the default links each locale team can extend the email with other helpful resources. 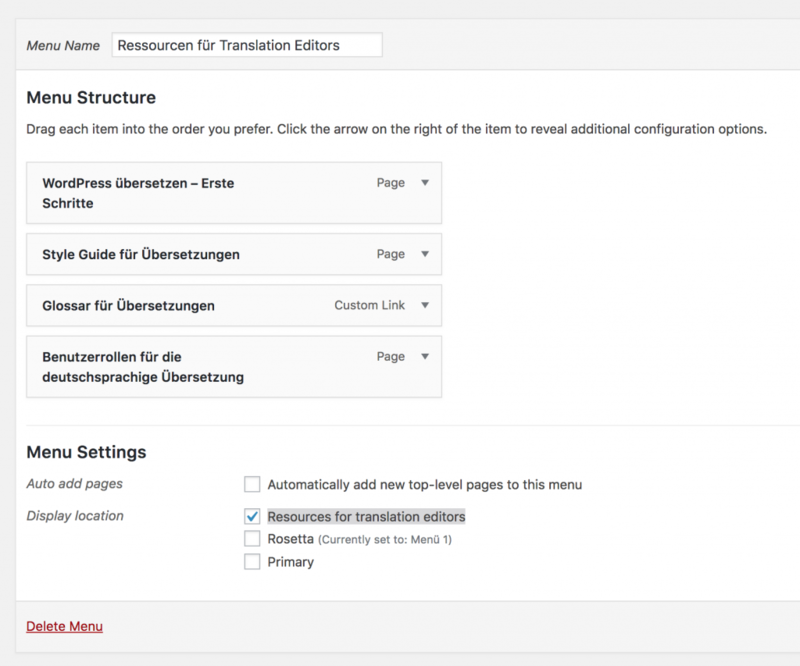 To do that you have to create a new navigation menu in the admin of your local main site and assign it to the Resources for translation editors location. The email for General Translation Editors is a bit different since they are likely part of the team for a bit longer. The email requests them to fill their WordPress.org profile, register on Slack and to subscribe for notifications for their locales. You’ll find the related strings in the rosetta project at https://translate.wordpress.org/projects/meta/rosetta.